So now that you have brand new replacement windows in your home, it’s time to give them that touch of you that makes your home, well, your home. Brand new windows can do wonders for a room, but if you’re the type who likes to add a little flair to your home you may be left with the feeling that they look just a little bit bare when installation is complete. Not to worry, though, your new windows won’t feel that way for long! All they need is a little touch of design to make them your own. And perhaps the best part, you’re now working with brand-new, fresh windows that are sure to revitalize your home. At Window World of Connecticut we understand the desire to personalize your windows to match the rest of your home, which is why we’ve put together a few ideas for how you can dress up your windows. This may seem obvious, but the options are truly endless when it comes to curtains. Long or short, solid or patterned, hung on a rod or covered by a valance — no matter what type you choose, curtains are a wonderful way to add an element of design to your window or to shade your room from harsh sunlight. Think outside the blinds. A fun way to shade your room and dress up your window is with decorative, fabric shades that come in a variety of colors and styles. Whether you choose to tie them up with ribbon, or have a string to pull them up and down, decorative shades are not only a beautiful addition to any window, but they are also excellent at adding privacy and shade to any room. You have beautiful new windows, now enjoy looking out of them! Whether you have a new bay window that naturally provides a good space for seating, or a simple double-hung window, adding a window seat is both aesthetically-pleasing and functional. Curl up with a cup of coffee, or a good book and enjoy the view from your new windows. 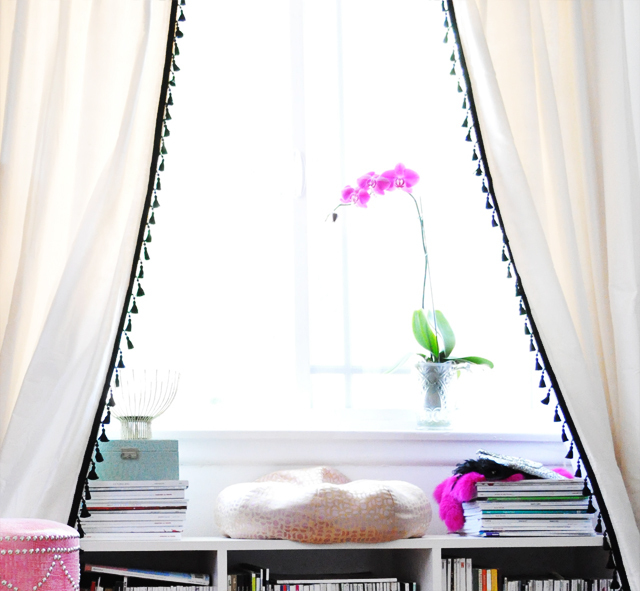 One fun way to really accentuate your new window is by adding shelving around it. 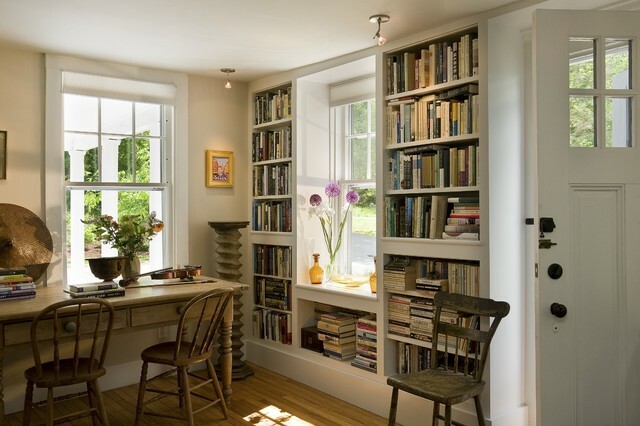 Shelving around your new window is not only a unique element of design, but it also gives you added storage space for anything from books, to pictures, to knick-knacks. Shelving is a great opportunity to make your new window your own! If a whole new shelving unit isn’t exactly what you’re looking for, display what you’d like right on your sill. 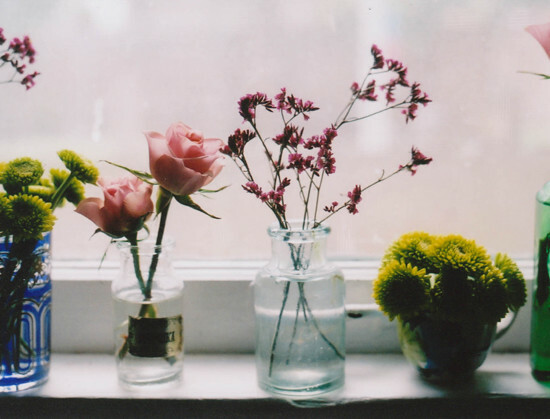 Whether it’s a place for your plants to get the light they need, or you simply want to display fresh cut flowers – adding small items to your windowsill can draw attention to your new window and give it that cozy design you want in your home. Don’t Have New Windows Yet? You can still use these tips to refresh or revitalize your old windows in the meantime! And, if you’re looking for a way to bring new light into your home, or are in need of superior energy-efficient windows, consider installing new replacement windows from Window World of Connecticut. We have a variety of styles and options to fit all of your home improvement needs. Have questions about your new windows, or ready to upgrade your current windows? Request a free in-home estimate if you’re ready to get started. Or, call on the experts at Window World of Connecticut today – we are happy to answer any questions you may have!